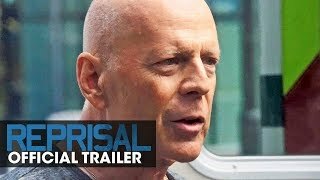 Reprisal (film, 2018). A 2018 American action thriller film with "R" rating by Lionsgate Premiere. Directed by Brian A. Miller. Official Trailer. Reprisal is a 2018 American action thriller film directed by Brian A. Miller. 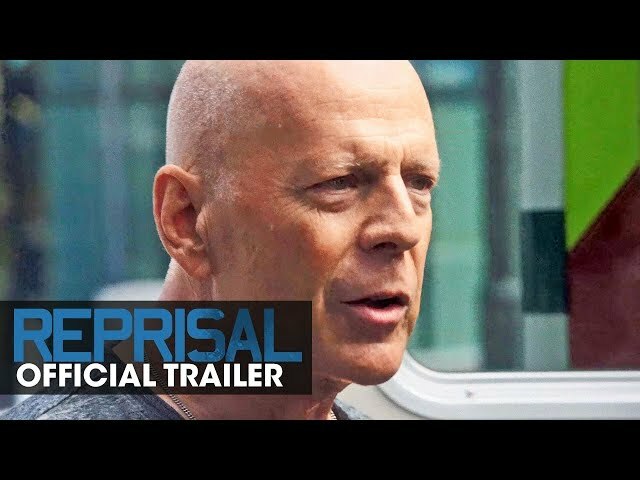 Reprisal (2018 Movie) Official Trailer - Bruce Willis, Frank Grillo. Jacob (Frank Grillo), a bank manager haunted by a violent heist that took the life of a coworker, teams up with his ex-cop neighbor, James (Bruce Willis), to bring down the assailant. While the two men work together to figure out the thief's next move, Gabriel (Johnathon Schaech), the highly-trained criminal, is one step ahead. When Gabriel kidnaps Jacob's wife (Olivia Culpo) and daughter, Jacob barrels down a path of bloodshed that initiates an explosive counterattack and brings all three men to the breaking point. Principal photography began on August 7, 2017, in Cincinnati, Ohio. The film Reprisal was scheduled to be released by Lionsgate Premiere on August 31, 2018. The duration of the film is 89 minutes. The film grossed over $103,904.